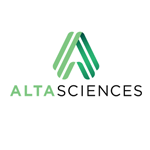 Altasciences Clinical Research encompasses Algorithme Pharma in Montreal, QC, Vince & Associates Clinical Research in Overland Park, KS, as well as Algorithme Pharma USA in Fargo, ND, thereby making it one of the largest early phase clinical CROs in North America. Bio-Rad, a global leader in supporting healthcare, provides tools, technologies and expertise for genomic and proteomic products. Choose from instrumentation and reagents for droplet digital PCR, cancer biomarkers, antibodies and much more. Our aim is to enable the success of our customers by providing useful, high-quality products and services that help advance scientific discovery and improve healthcare. BioAgilytix is a leading bioanalytical testing laboratory specializing in large molecule bioanalysis. 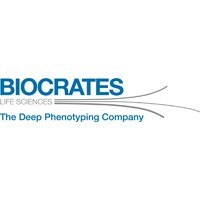 Biocrates is a world leader in Targeted Metabolomics, with more than 15 years of experience, and more than 800 scientific publications. With a commitment to scientific excellence, Charles River provides industry-leading GCP and GLP laboratory services to support our clients’ drug development, from discovery to the clinic. Whether clients need stand-alone solutions or a package tailored to meet their needs, we apply our in-depth knowledge of biomarkers, traditional NCEs, proteins, and large molecules to optimize their development programs and accelerate the journey to market. Our focus on partnership ensures our clients receive the very best in personalized service and support. From rapid custom PK and immunogenicity assay development, validation and sample analysis to on-time reporting, we can support our clients’ research and protect their investment, every step of the way. Eurofins Bioanalytical Services is a powerhouse large molecule -focused bioanalytical contract research organization. Since our formation in 2003, we have actively supported the immunogenicity, pharmacokinetic and biomarker testing needs of companies that develop biotherapeutics by combining our scientific expertise, capacity and regulatory knowledge. Encouraging young practitioners to learn from more experienced ones, and appreciating the sharing of challenges as much as successes. Intertek has over 20 years of experience in conducting regulated bioanalytical studies through our global network of state-of-the-art, GCP and GLP compliant laboratories supporting the development of pharmaceuticals, biopharmaceuticals, vaccines and biosimilars. A laboratory automation solution for the entire enterprise. Through the acquisition of the leading bioanalytical business from Quotient Bioresearch in December 2012, LGC has a world-class bioanalytical capability with more than 50 years’ experience in high-integrity analytical science and expertise spanning small and large molecules, biomarkers, molecular biology and microbiology. Mercodia is a world-leading developer, manufacturer and provider of high-quality ELISA kits. Neoteryx is focused on delivering simple, quantitative, and automatable microsampling solutions for biological samples which improve animal and patient welfare, reduce laboratory costs, and enable convenient sample collection anywhere, anytime, by anyone. Neoteryx customers do their work across the biological spectrum, working to advance pharmaceutical development, personalized medicine, biotechnology research, and clinical diagnostics. QPS is an award-winning, global CRO providing custom-built research services in Toxicology, DMPK, Preclinical and Clinical Drug Development. SCIEX is a global leader in the $2 billion mass spectrometry market. Mass spectrometry solutions enable laboratories to analyze a wide variety of contaminants, compounds and proteins in order to obtain answers to some of most important issues facing humanity today. Waters Corporation creates business advantages for laboratory-dependent organizations by delivering scientific innovation to enable customers to make significant advancements. If you want to list your company and your products in our Directory, please contact Dionne Murray.